We completely revamped the finder pop-up windows throughout SalesBinder which enable you to (ahem) find things. Things such as searching for a customer for creating an invoice, or searching for an inventory item to be added to a new order. The new finder windows respond up to an astonishing 10x faster in our tests with large datasets so we think our power users are especially going to like these improvements. In addition to the new faster finder pop-up windows, when adding items to an order we’ve also added the new ability to specify the quantity you’d like before you actually add the item. This was a highly requested feature from our users which now enables you to get your quantities correct without having to adjust them after all your line-items have been added. We’ve added many new improvements to our reporting lately and in our most recent update we added a couple more new options for the Sold Items Report. 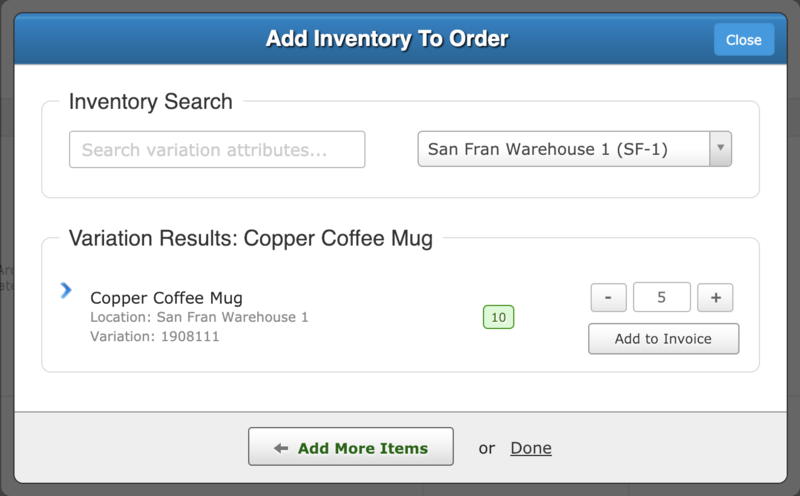 You can now group your sold items two ways, by item (which was the default) and by customer account. In addition to this we now offer a Sales Person filter so you can generate sold items reports for each of your sales people and customize all the options exactly how you want it. We added a new importing option so you can now import inventory spreadsheets containing quantity data for multiple locations in a single file. Simply specify the quantity for each location in separate spreadsheet columns and map those quantities to your locations in SalesBinder. Importing new inventory data into multiple locations has never been faster. We’ve got a lot more exciting new features to announce soon so definitely check back in soon to hear all about it!